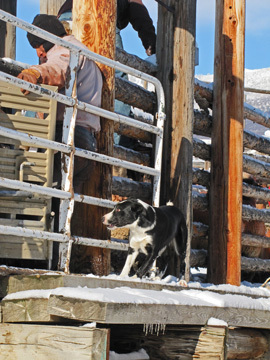 A couple of days ago, Eamon, McCoy and I went to Powder Flat to check on things. 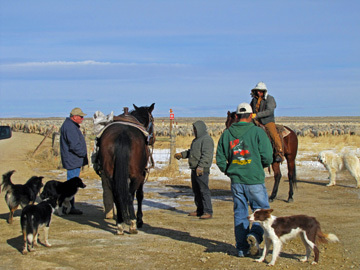 For new blogees, Powder Flat is our ranch on the desert west of Baggs, Wyoming. Pat, Meghan and Bridget and I lived there in the winters before the girls (now 33 and 31) started school. We have a headquarters there. 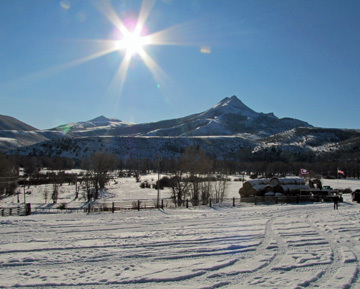 It lacks running water and electricity, but is still comfy (lots of wood for the stove, and gas appliances), and is normally great winter country for the livestock and for the deer, elk and antelope that also migrate for the cold seasons. 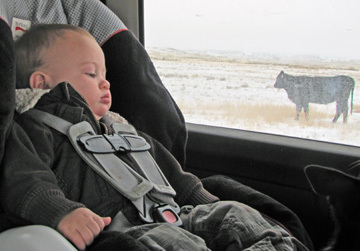 Eamon and I were glad to find sheep, cows and sheepherders all in fine shape. 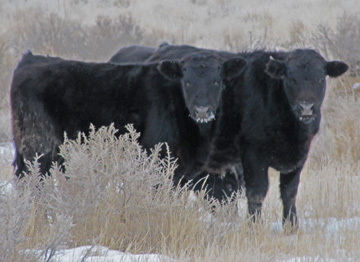 After a rough start, we are having a mild winter, so far. 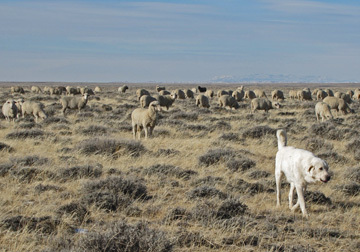 Five months less five days before we want to see lambs on the ground, we turn the buck sheep into the ewes. 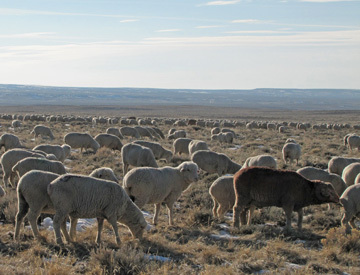 For the commercial Rambouillet ewes, that desired lambing date is May 10th. We did the math, and turned the bucks in on December 15th. To me, this marks the end of the old year, and the beginning of the new. The bucks have hung out with just each other since late last February or so (and yes, there are gay bucks) and so almost all of them are glad to see the girls…and the girls are glad to see them. 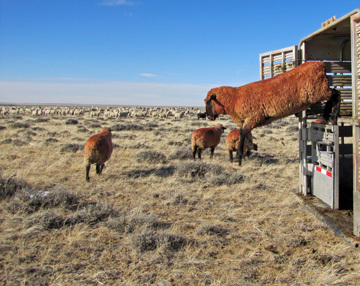 Of course,it means that the ewes must spend five months less five days pregnant, and about five months raising lambs, but when the rams show up, they are not thinking of the future. We, of course, are thinking of the future, and praying for the right kind of weather for the next year. 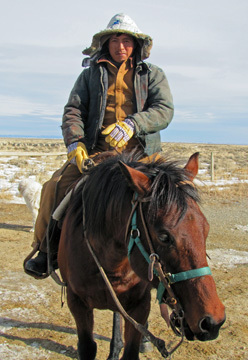 In 2011, December 15th was cool and clear–perfect weather for bucking. 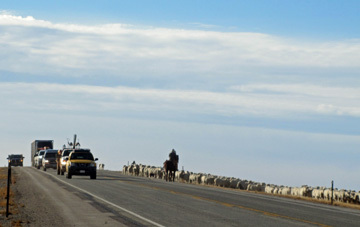 We have just complete our annual trek to the Red Desert with the sheep. 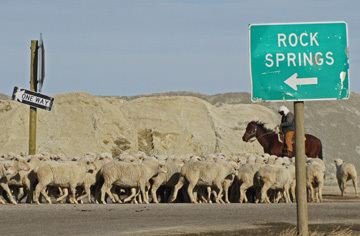 This journey begins around October 1st, each year, as we trail the sheep down from their summer Forest permits. 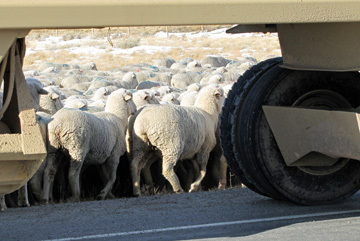 Since seven bunches of sheep spend the summer on the Forest, this takes some staging. 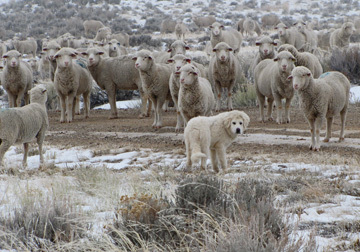 Each bunch comes into pastures around the Home Ranch headquarters, then each and every ewe is looked at individually. Most of them are keepers. 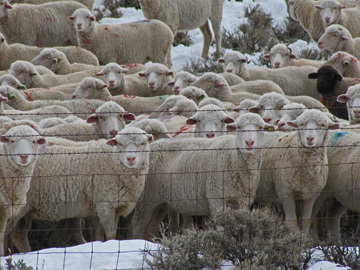 Some are sold as “good old ewes” who go on to another owner in a milder climate, usually the Midwest. Those with problems such as “bad bags”, lameness or other complaints of old age become “killers.” Once a stranger asked me, “Who’d they kill?” looking at them with new respect. 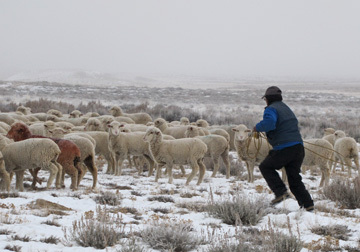 The keepers, after having their lambs weaned, are made up into one of four winter bunches. 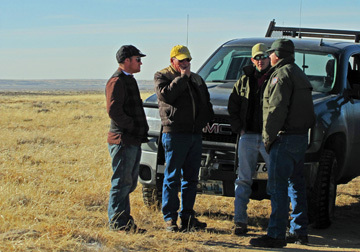 They then trail to our fall country, known as Cottonwood, north of Dixon. In early November, most of them head out for the Badwater Pasture, a checkerboard lease (every other section is private or public). 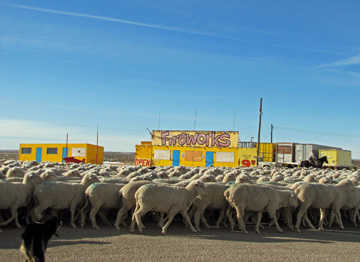 The sheep, sheepherders, dogs and horses hang out there until time to trail to the winter country on the Red Desert, north of I80. We move around December 1st each year. 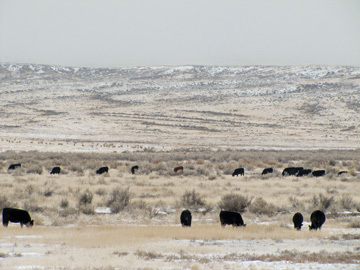 That is our on-date for the winter BLM leases, and is normally about the time we can expect snow on the desert. 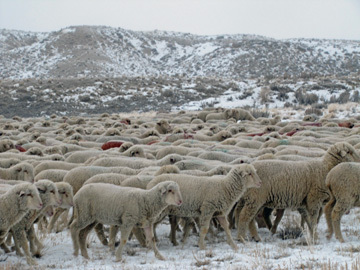 Snow is critical since virtually no live water is available, and the sheep depend on eating snow for sustenance during the winter months. 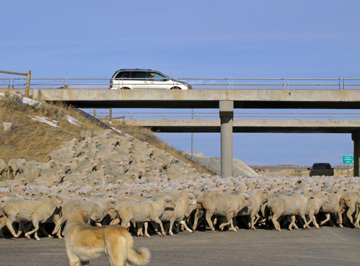 One of the critical days of trailing is the day the sheep cross the overpass above the Union Pacific railroad line, then a couple of miles later, go under I80 at the Creston Junction underpass. We do this three days in a row, as each bunch passes in its turn. 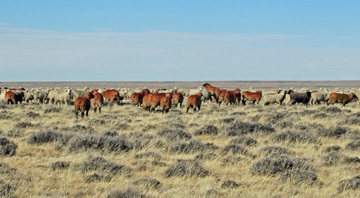 When they reach their destinations at Cyclone Rim and Chain Lakes, they have walked about 150 miles from their summer pastures.